20 bags organic, vegan friendly Clipper Orange & Coconut Teabags. *Honeybush, *pineapple, *orange peel (15%), natural organic flavour, *coconut (1%), natural coconut flavour. * - organically grown ingredient. 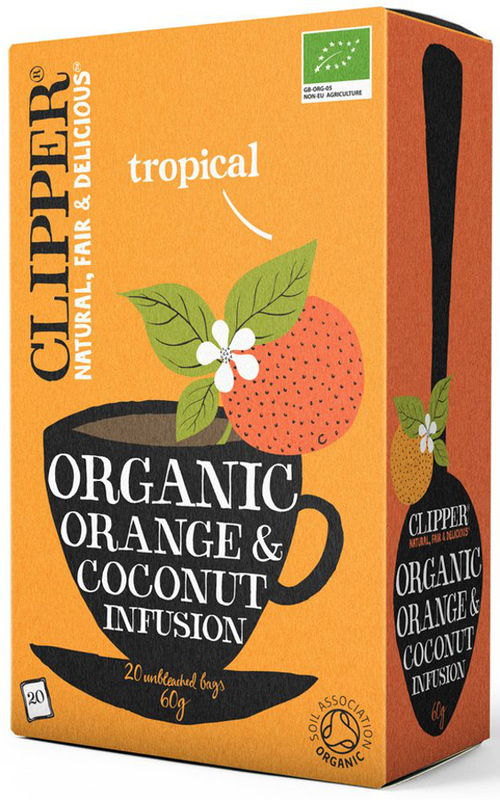 The Clipper Orange & Coconut Tea 20 Bags product ethics are indicated below. To learn more about these product ethics and to see related products, follow the links below. Good quality. One star less as I don't feel orange and coconut going well together and the other star taken off for the unnecessary packaging. I like these. A different refreshing flavour. Not something I would order again as I prefer Clippers Wild Berry. These are a bit subtle for my taste. 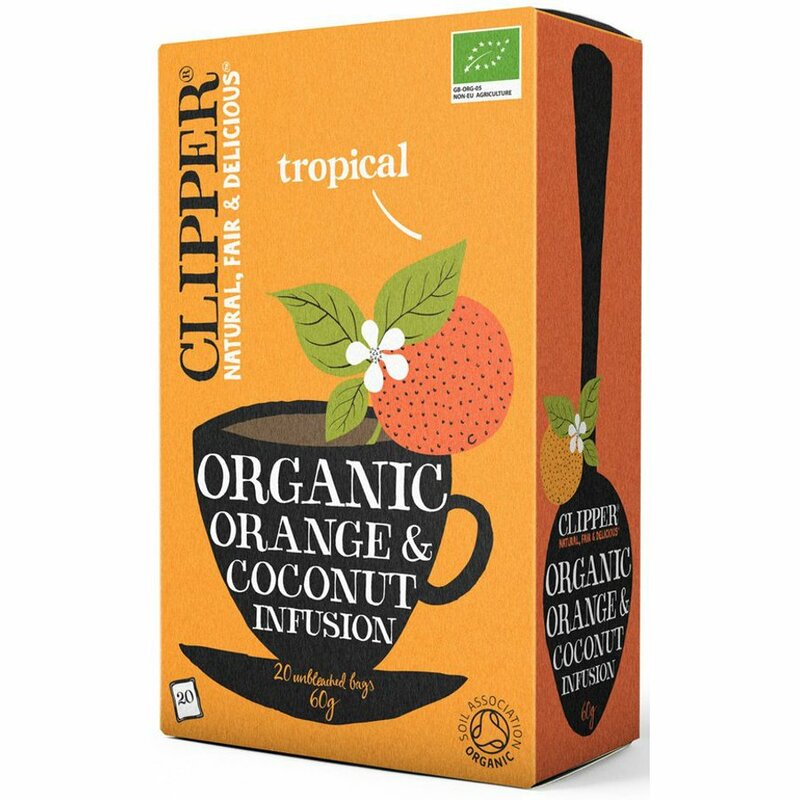 There are currently no questions to display about Clipper Orange & Coconut Tea 20 Bags.